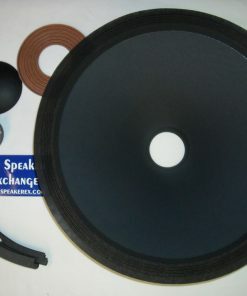 Cone: 15″ all paper, 3.920″ deep, 2″ voice coil opening. You will also need glue and epoxy. Specific parts and specs are subject to change but replacement parts will be matched as closely as possible. 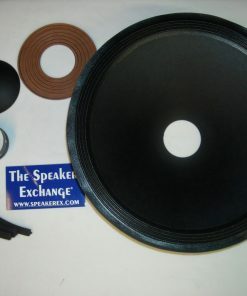 If you require different parts for this or any other model speaker, contact us and we will provide prices and options. Always measure your original parts and compare to these specs to insure you are ordering the correct parts. Q Can this be ordered with a 16 ohm coil? 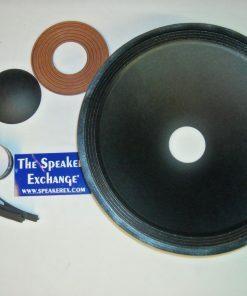 A This comes with a 16 ohm voice coil. The listing was incorrect when it said 8 ohms. I fixed it. Thank you for bringing it to my attention.